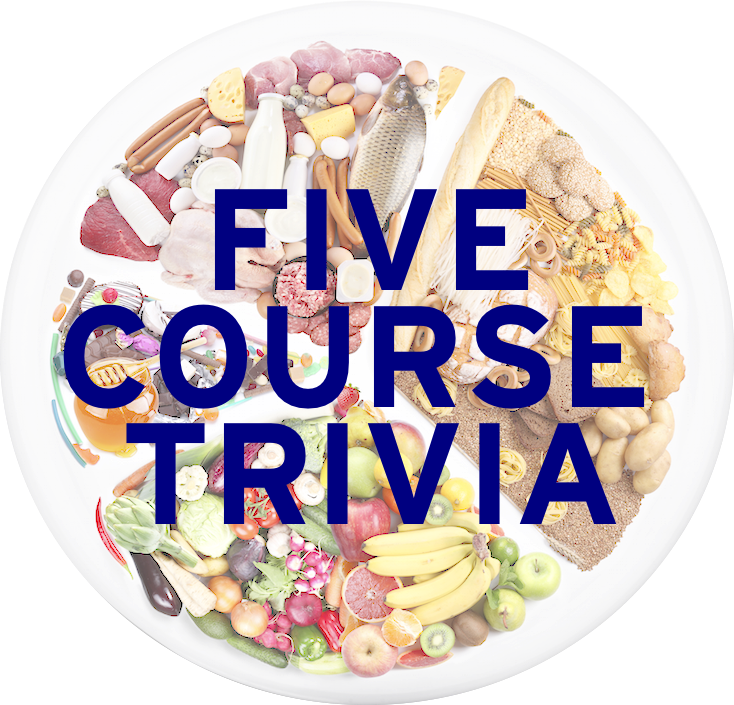 Each Friday, we’ll cover something in food that is good to know for trivia purposes or for general food purposes. Since we started this week with soup, it seemed most appropriate to end with nuts. WARNING: This blog post does contain nuts, so proceed at your own caution. 1. Popular in Southeast Asia, what dish features skewered meat like chicken, lamb, or beef, and is often served with a spicy peanut sauce? If mutton is used, then soy sauce often replaces the peanut sauce. 2. First created in 1896 at the Waldorf-Astoria in New York, the Waldorf salad originally contained what three ingredients? The fourth ingredient of walnuts would come years later. The Waldorf salad ordered in “Fawlty Towers” uses these four ingredients plus grapes, which is often used in the Waldorf, but is not one of the original ingredients. 3. Pictured here, what French confection is made from a chestnut either candied or preserved in syrup, then glazed? 4. What Italian ice cream is typically made from three flavors, with a pistachio layer between a cherry and a chocolate or vanilla layer? 5. Name the almond cookie pictured below. In the United States, coconuts are often used instead of almonds. Next Monday: Got milk? Well, you will on Monday!